Music Row’s famed United Artist Tower will likely be home to a new hotel. A majority of the 56,000-plus square-foot building has been sold to a group led by Dickson, Tenn.-based hotelier Jay Patel for $3.8 million. Mostly used as office spaces, the property was previously owned by Box Seat Properties. 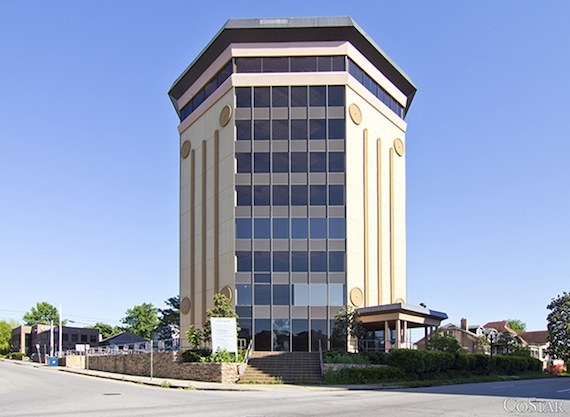 Listed by Colliers International, the transaction does not include the ninth-floor penthouse and office space, currently owned by Frank Bryant, according to The Tennessean. A zoning change will not be required to convert the building into a hotel, reports the newspaper. The 51,000 square-foot space was originally listed for $4.5 million, as posted on LoopNet.com. Built in 1974 at 50 Music Sq. W., the UA Tower is the tallest building on Music Row. It also changed hands in 2011, as reported by MusicRow.